I’ve argued quite often for life insurance. It’s a financial instrument that we should all learn about so that we can appreciate its benefits. On the face of it, life insurance is just a cost for most Filipinos. If you’ve got to struggle to earn enough for your needs, it’s going to be hard to appreciate why you need to spend money on a life insurance policy. But if you’re nowhere near that situation and you don’t know what a life insurance is, then you have to read on. Here are two articles I have published in this blog about life insurance. Basically, a life insurance policy is a contract. An individual and a financial company agree to abide by the terms of this contract. The individual pays a certain amount called the premium which entitles his beneficiaries to receive compensation in the event of death within the agreed time period. It’s a form of protection from the financial setbacks that will be the result of death. For a father who is working for his family's needs, a life insurance policy offers some peace of mind. He may have kids who are still too young to be left without a provider. He would surely have dreams for their future. And these dreams, he knows, may be put in jeopardy if anything happens to him. So for the duration of his working life, it would indeed be prudent to insure his own life for the sake of his family. It doesn’t come free but a life insurance policy brings benefits that would outweigh the costs. A report from philstar.com a few days ago says that barely 1.04 percent of Filipinos have insurance coverage in 2011. But it’s a number that may soon change with insurance agents going all out to hit a new high for insurance premiums. These are mostly driven by investment-linked life insurance products. The rosy picture of the country’s economic outlook adds to the high likelihood of Filipinos waking up to a Philippines with a majority of the people owning life insurance policies. It’s worth knowing that government regulation of the insurance industry is pretty good. You may have heard about pre-need companies or banks closing down but it’s a rare news to hear insurance companies getting in financial trouble. It’s a testament to the stability of the insurance industry and the Insurance Commission’s performance. With the inevitable rise of people availing themselves of insurance products, I thought I’d feature ten of the biggest life insurance companies in the Philippines. I’m not promoting any one of them but I just wish to give people additional information and options to study. The descriptions provided are from the companies themselves. The link will direct you to the company’s website. 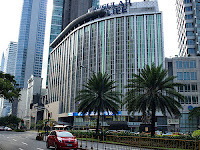 The Philippine American Life and General Insurance Company (Philam Life) is the largest life insurance company in the Philippines and the market leader for over 60 years. Philam Life offers an extensive line of products in the industry that provides solutions to various financial needs including life protection, health insurance, savings, education, retirement, investment, group and credit life insurance. Philam Life has the most extensive network of offices and sales agencies nationwide. Insular Life was established on November 25, 1910 at a time when the Philippines was flexing its wings as an independent country. Today, as the Philippines’ leading and largest Filipino life insurance company, Insular Life prides itself with its role in securing the lives of Filipinos families for close to a century. Its roster of products — from its ordinary whole life, endowment, limited-payment, college education and insurance plans, to pension and investment plans — not only offers the best cost- benefits ratios among insurance plans in the market. More importantly, these are designed to allow individuals to wield control over their and their family’s financial security. AXA Philippines is redefining the market by challenging the present and always looking for solutions that better meet the financial needs of our customers or modify services to adjust to their changing preferences. This quest made us the innovator behind the development of bancassurance and behind the introduction of variable life products into the market. AXA Philippines is determined to give you what you need, the way you want it. Currently AXA Philippines is offering financial security to almost 300,000 individuals through its group and individual life insurance products. As the pioneer in the market, AXA Philippines is offering the second generation variable life products, that provide the clients even better financial security and improved returns. AXA Philippines has a nationwide coverage through 557 Metrobank branches, which are being serviced by 450 financial executives and 26 AXA branch offices that are the home to its growing network of 1,500 exclusive financial advisors. Manulife has been conducting business in the Philippines for over 100 years. One of the oldest life insurance firms in the country, Manulife received its license in 1907 to operate in Manila, 20 years after the company was first established in Toronto, Canada in 1887 by Sir John A. Macdonald, who had concurrently held the post of Prime Minister of Canada. The first foreign company to list in the Philippine Stock Exchange, Manulife is among the top life insurance companies in the country today. A dedication to client service has paved the way for the Company's growth and increased financial strength throughout the years. Pru Life UK was named as the 2004 Outstanding Life Insurance Company for the 15th Annual National Consumers Award (ANCA) awarded by the Consumers Union of the Philippines. BPI-Philam Life Assurance Corp, formerly Ayala Life Assurance Inc, is a strategic alliance between two leading companies in the country today-The Philippine American Life and General Insurance Company (Philam Life) and Bank of the Philippine Islands (BPI). Philam Life is the largest life insurance company in the Philippines and the market leader for over 60 years. BPI is a leading commercial bank in the country with over 158 years of experience in the local banking industry and extensive branch network of more than 800 branches and 1,500 ATMs. BPI-Philam provides professional financial advisory service to address customers' financial and protection needs. With the combined expertise and resources of these two trusted companies, BPI-Philam policyholders are assured that their coverage is backed by financial strength and stability. Sun Life Grepa Financial, Inc. is a joint venture company borne out of a partnership between the Yuchengco Group of Companies and Sun Life Financial-Philippines. The joint venture agreement, signed on October 24, 2011, involves Sun Life's acquisition of 49% of Grepalife which in turn enters into an exclusive cooperation agreement with the Rizal Commercial Banking Corporation (RCBC). This agreement with RCBC allows Sun Life to gain access to the bank's extensive sales network of over 350 branches and over 2.5 million customers nationwide. Sun Life Grepa Financial shall operate as a separate entity from Sun Life Financial-Philippines. As it is a union of two strong brands, Sun Life Grepa Financial, Inc, (SLGFI) is envisioned to bring out its full potential and rank among the top players of the life insurance industry. Afterall, it comes from a merging of distinct brand personalities which have their own strengths and global recognitions. COCOLIFE (United Coconut Planters Life Assurance Corporation), the first ISO Certified life insurance company in the Philippines, is the parent company of the COCOLIFE Group of Companies which offers a complete range of insurance and financial services. It has subsidiaries in the non-life business (UCPB General Insurance), pre-need (Cocoplans), mutual funds (United Fund, COCOLIFE Fixed Income Fund), asset management (COCOLIFE Asset Management) and security services (Ultra Security Services, New Ultra, All Nation). Generali Philippines is a joint venture between two financial giants: the global insurer Generali Group and Banco De Oro Unibank, Inc. (BDO). This partnership was signed on 26 March 1999 and formally launched on 9 March 2000. Generali’s roots started in Trieste, Italy where Assicurazioni Generali Austro-Italiche was first created on December 26, 1831. The man behind the initiative was Giuseppe Lazzaro Morpugo. With his fascination for insurance theory and practice, he successfully led a group of businessmen to create a large insurance company that could compete with the big players that were then emerging in Europe. The name “Generali” signified the company’s will to operate in all branches of insurance. In its first years, expansion was rapid and agencies were opened in various parts of Europe. In the Philippines, our partner BDO Unibank, Inc. is the financial services flagship of the SM Group of Companies, one of the country’s largest and most successful conglomerates with businesses spanning retail, mall operations, property, banking, hotels, convention and leisure facilities. Today, BDO is the country’s largest bank in terms of assets with over 720 branches nationwide. BDO is multi-awarded by various leading international institutions, which include Finance Asia, Alpha Southeast Asia, The Banker, The Asset, Asia Money and the Asia CEO Awards.